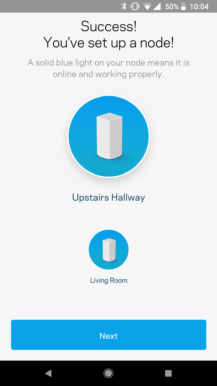 My family lives in a somewhat large house, and Xfinity's 'Wireless Gateway' router has never done a great job at coverage. Several rooms had poor reception or dead spots, particularly in the upstairs area. 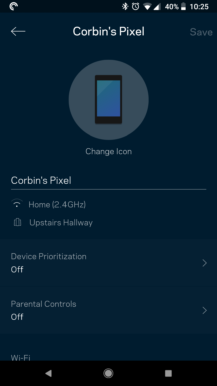 I bought a basic Netgear range extender as a band-aid solution, but for whatever reason, some of my devices (including my Google Pixel) still refuse to connect to it. 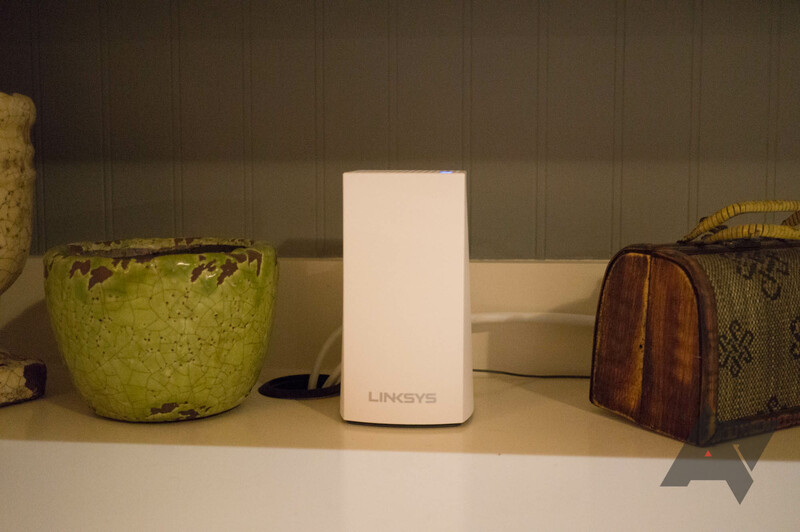 Last year at CES, Linksys announced its first mesh Wi-Fi system, called 'Velop.' 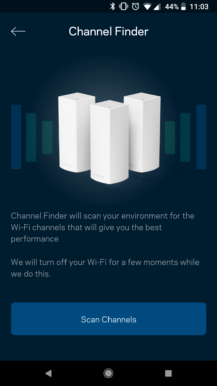 The tri-band 2x2 802.11ac connectivity was a major selling point, but it was rather expensive — a 3-pack would set you back $500. The company launched a new dual-band Velop lineup last month, created to directly compete with the Google Wifi and other consumer mesh network systems. It has roughly the same design, and you can even use the new dual-band units with an existing tri-band network (and vice versa). 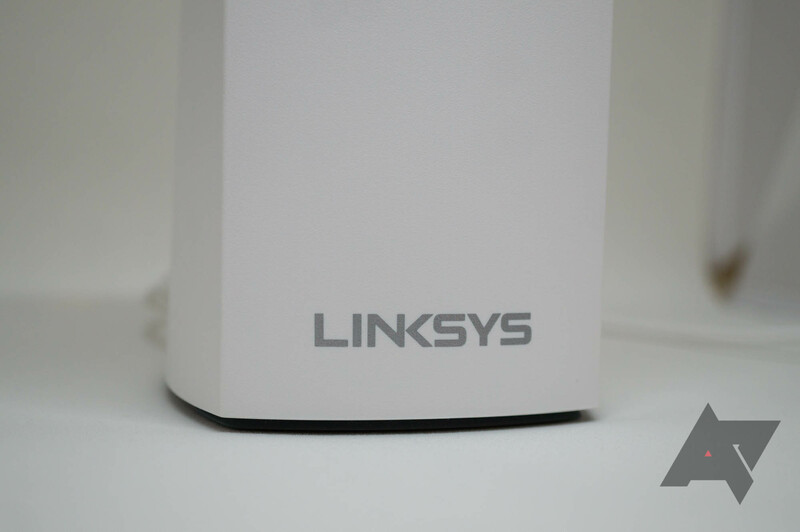 Needless to say, when Linksys offered to send a review unit of the new dual-band Velop system, I jumped at the opportunity. I received the three-pack version (AC3900), which costs $299. After about a month of testing, I'm very pleased with the system for what it costs. Software The setup process is simple, and the Velop mobile app works very well. 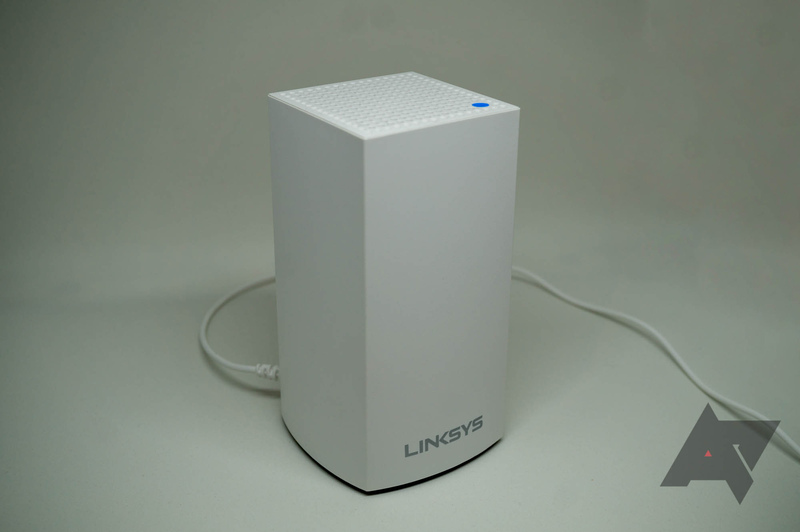 Price This dual-band Velop system is similar in price to other dual-band systems. Compatibility You can add dual-band Velop units to an existing tri-band Velop network, and vice-versa. Not tri-band It's understandable at this price, but you'll experience lower internet speeds on secondary nodes with all dual-band systems. Setup time It takes roughly 30 minutes to set up all three Velop nodes, and most of that is staring at progress bars. Mounting There is no easy way to mount one of these on a wall. 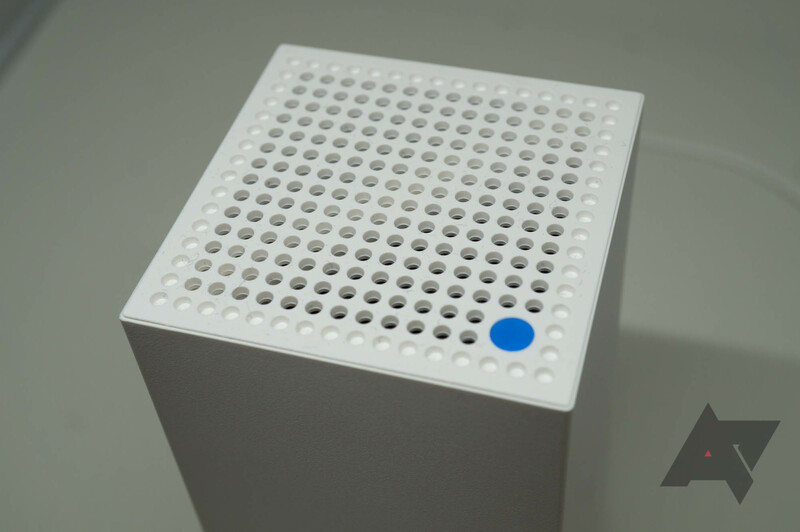 Inside the box are three Velop nodes, along with power cables for each unit and an Ethernet cable for the base station. 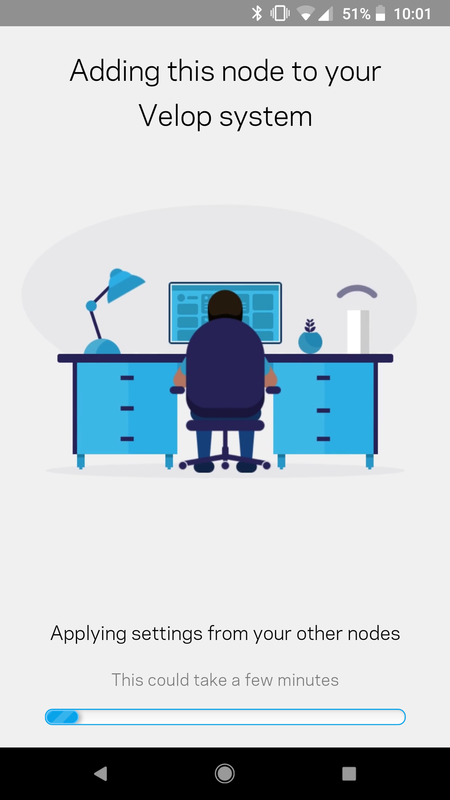 The setup process will vary depending on what router/modem you have. To reiterate, I have Comcast as my internet provider, with an Xfinity 'Wireless Gateway' box functioning as the modem and router. I simply enabled bridge mode on the Xfinity box, which turns it into a basic modem. Then I connected one of the Velop stations to the Xfinity box with the included Ethernet cable, and turned it on. 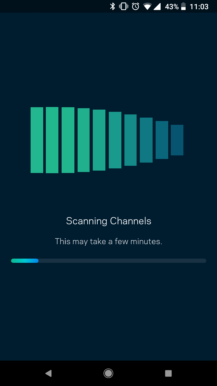 The rest of the process just consists of opening the Velop app (available on Android and iOS) and following the on-screen instructions. 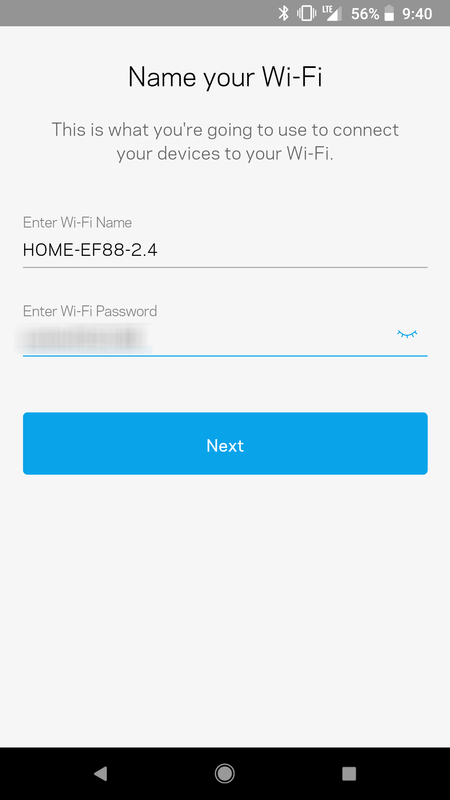 You choose a network name and password, set up a Linksys account if you don't have one already, and the app does the rest. Once the base unit is all set up, you can add the additional nodes whenever you want. The setup process for additional nodes is pretty simple. After you plug one in, the app will test the node's connection to ensure it's not too close to the main station. 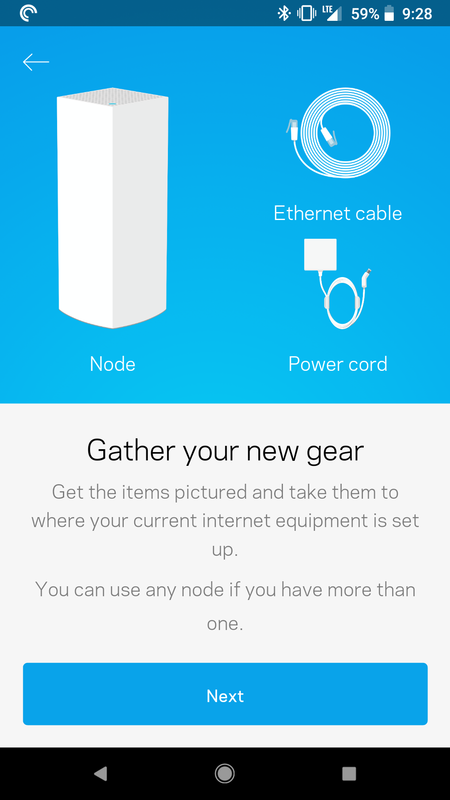 After that, it will add the node to your mesh network, which takes roughly 8-10 minutes. I'm not sure why it takes that long, but you only have to do it once for each unit. My main complaint about the setup process (besides how long it takes) is that the Velop app doesn't move nodes to their own Wi-Fi channels. After I got everything running, I noticed the secondary nodes often had an orange light, indicating connection issues. 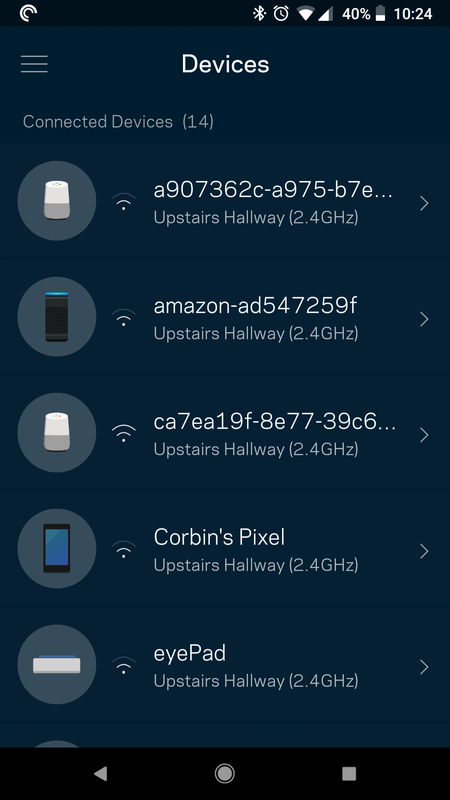 I used Wifi Analyzer to check what Wi-Fi channels the nodes were running on, and the app showed two of them were on the same channel. This meant the nodes were constantly talking over each other, causing reduced performance. 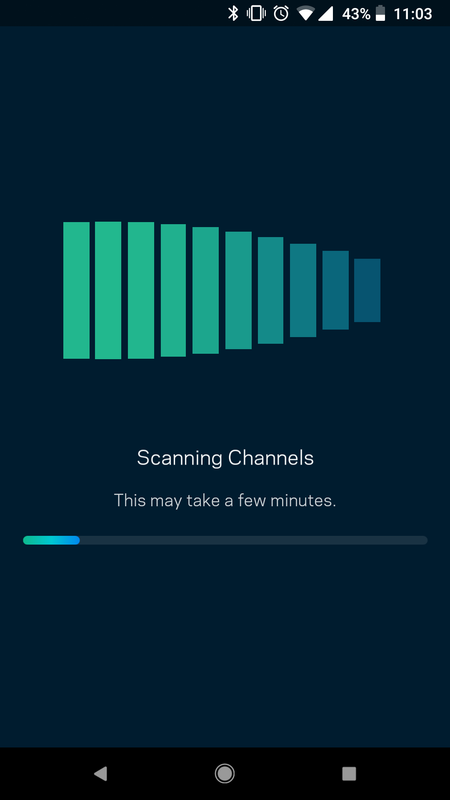 The Velop app includes a 'Channel Finder' feature, which scans the area around you and moves nodes to open channels. Sure enough, each unit was moved to its own channel, and the orange lights went away. 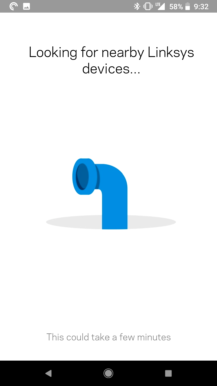 I'm not sure why this isn't part of the initial setup process, but if you're buying this system, I definitely recommend running this once your network is operational. 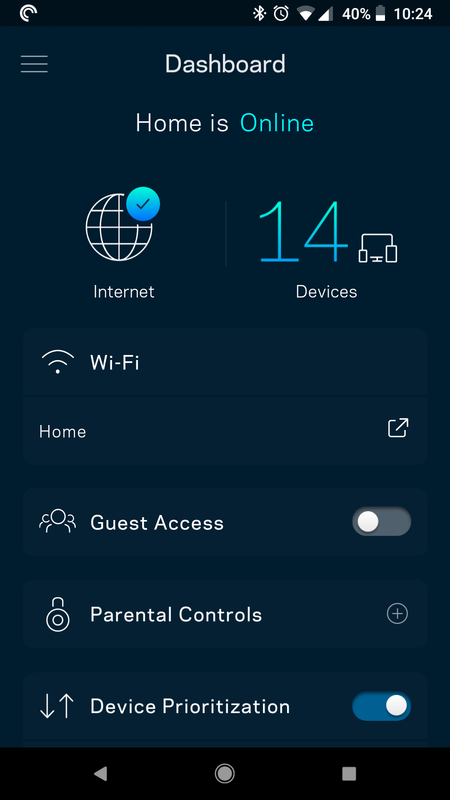 As you might expect, all of Velop's settings can be configured through the mobile app (there is a web-based panel, but it's the opposite of intuitive). The main dashboard displays the connection status and how many devices are connected. 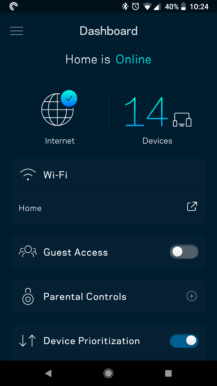 There are easily-accessible toggles for enabling a guest network, managing parental controls, and toggling device prioritization. There are also parental controls, including killing the connection to a certain device. 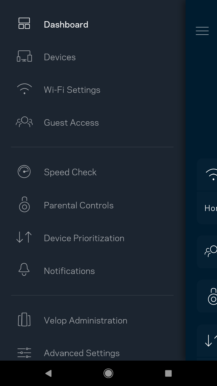 Opening the side menu reveals additional options, like changing the Wi-Fi name and password, performing a speed test, changing node settings, and more. The app is very user-friendly, so even if this your first time managing a home network, you probably won't run into any problems. 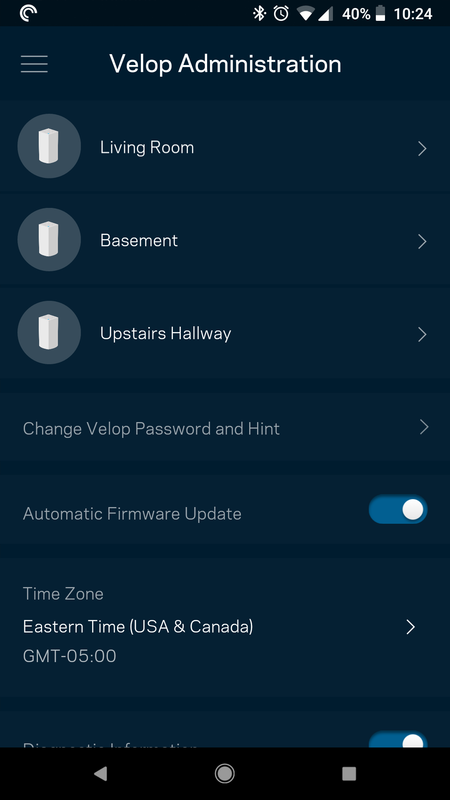 As a bonus, you can change just about every setting from outside your home. Forgot to turn off the guest network before you left for work? No problem, just open the app and switch it off. 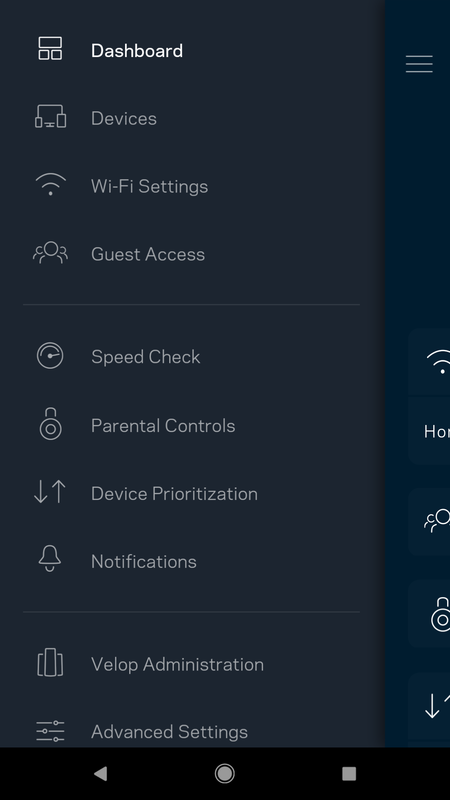 For power users, there is an 'Advanced Settings' menu with additional router and network options. 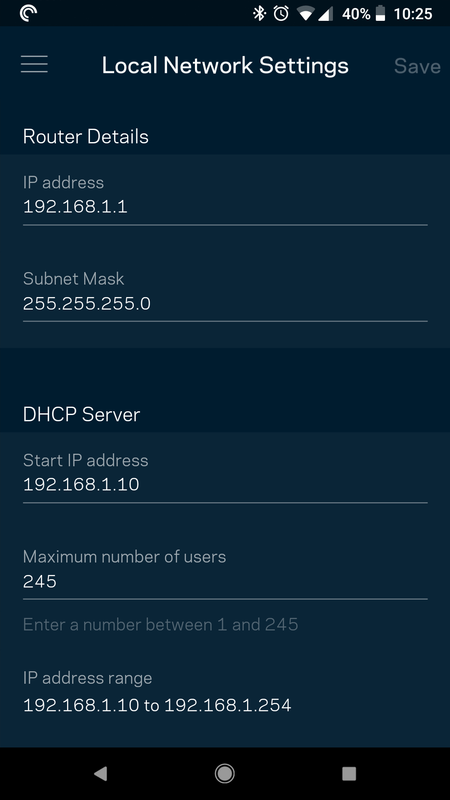 You can enable port forwarding (even on a range of ports), set a custom DNS server, add a MAC filter, change the DHCP IP range, and more. I'm by no means a networking professional, but I didn't notice any major functionality missing. I was able to set a static IP for my home server, forward the ports for Microsoft Remote Desktop, and change my network to CloudFlare DNS without any problems. 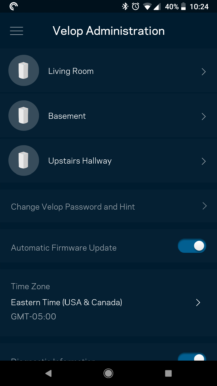 Since the tri-band Velop systems launched a year ago, Linksys has had plenty of time to improve the mobile app and fix any bugs. As a result, the new dual-band version has a rock-solid software experience at release, which is always nice to see. 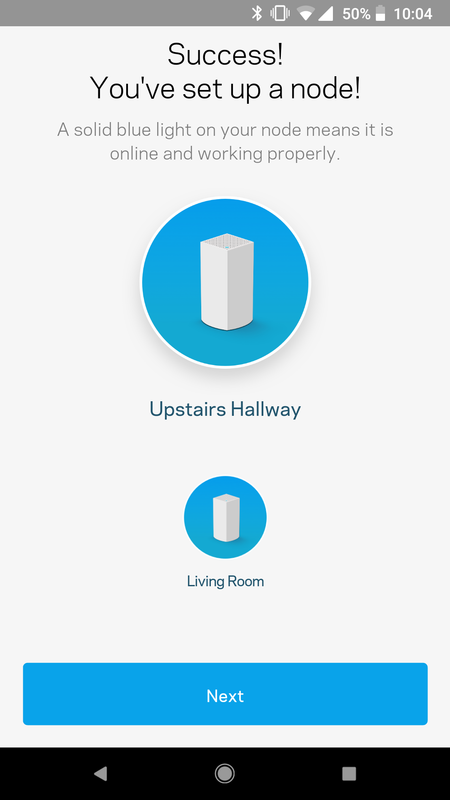 I explained earlier what my previous network setup looked like - one underpowered Xfinity router in the corner of my house, with a repeater upstairs. My main hope was that Velop would have at least the same range as that setup, but without the need for two separate Wi-Fi networks. I placed the main station in the living room, on top of the cabinet where the modem is kept. 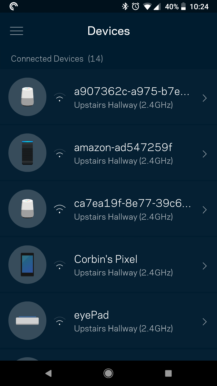 I set up the second node upstairs, in roughly the same area that my repeater was in, but slightly closer to the staircase (to maintain a stronger signal with the main unit). Finally, I placed the last node in the basement, where we have a TV. The Chromecast and Roku connected to that TV were never able to maintain a strong Wi-Fi signal, so streaming media was often a rough experience. 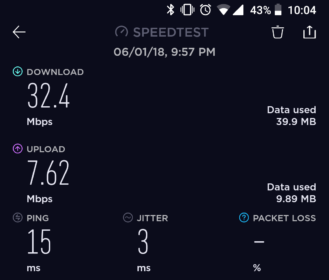 To see if Velop made a difference in Wi-Fi coverage, I measured the signal strength on my Google Pixel before and after I set up Velop. The first set of measurements are from my Xfinity router, after I had disabled the upstairs repeater. On the second set, I'm using the latency to the nearest Velop node. There is a substantial difference before and after the Velop system was installed (remember, decibels are logarithmic, not linear). Dead zones were common, particularly in the upstairs area, but I now have a steady connection everywhere. 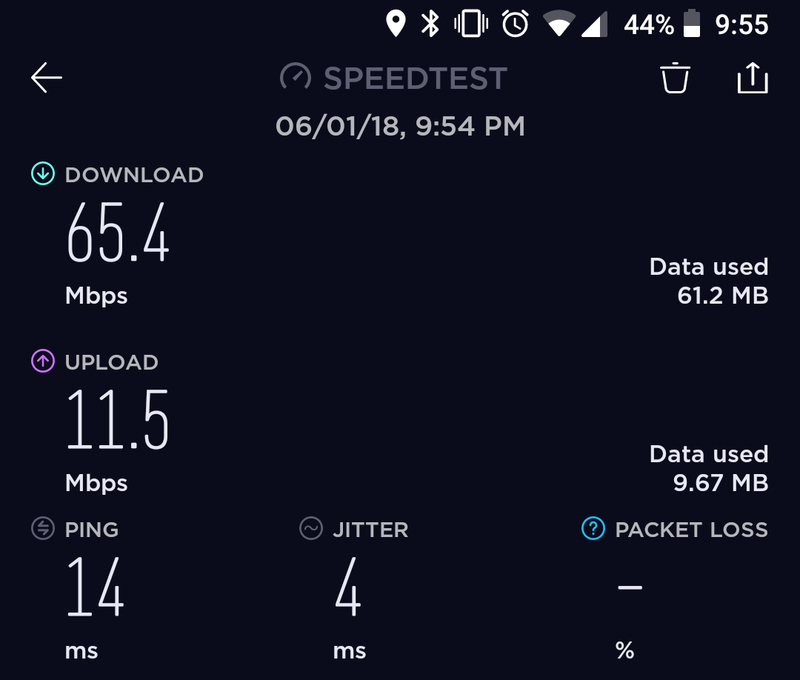 I don't have to switch to 4G in my bedroom, I can stream 1080p Netflix on the basement TV, and no one else in my house has complained about connection problems. 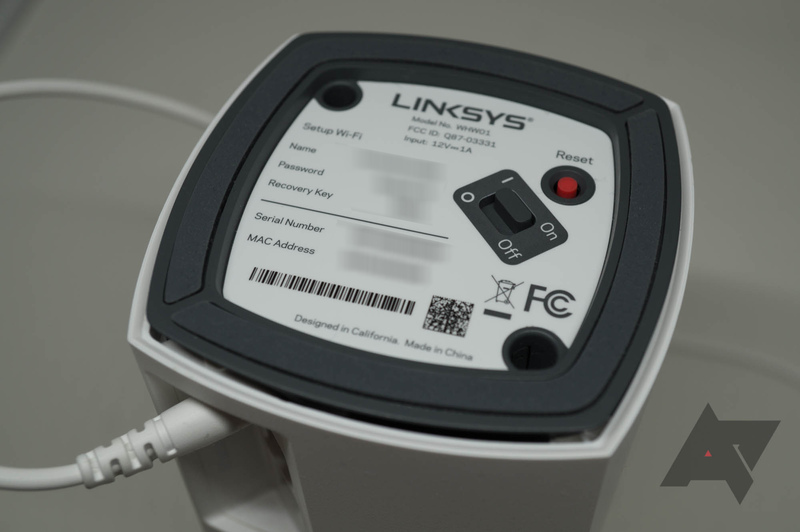 The more expensive mesh network systems are tri-band, so in addition to the usual 2.4GHz and 5GHz networks they create, there is a hidden 5GHz network used as a direct lane to the main router. Linksys has a great document explaining the differences here, if you're interested. 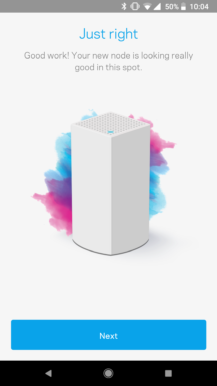 The cheaper Velop system I'm reviewing is only dual-band, so the 5GHz network is used both for 5GHz clients (your phones, computers, tablets, etc) and to communicate with other nodes. As a result, the maximum internet speed on the secondary nodes is bottlenecked. As you can see, the internet speed is effectively halved on the secondary nodes. 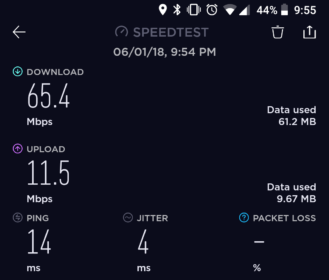 If your internet connection is somewhat fast to begin with, you may not notice a difference. 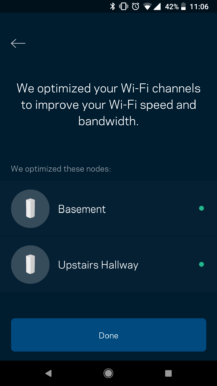 But if you have multiple devices frequently eating up bandwidth, particularly when connected to a secondary node, a tri-band mesh system might be a better option. 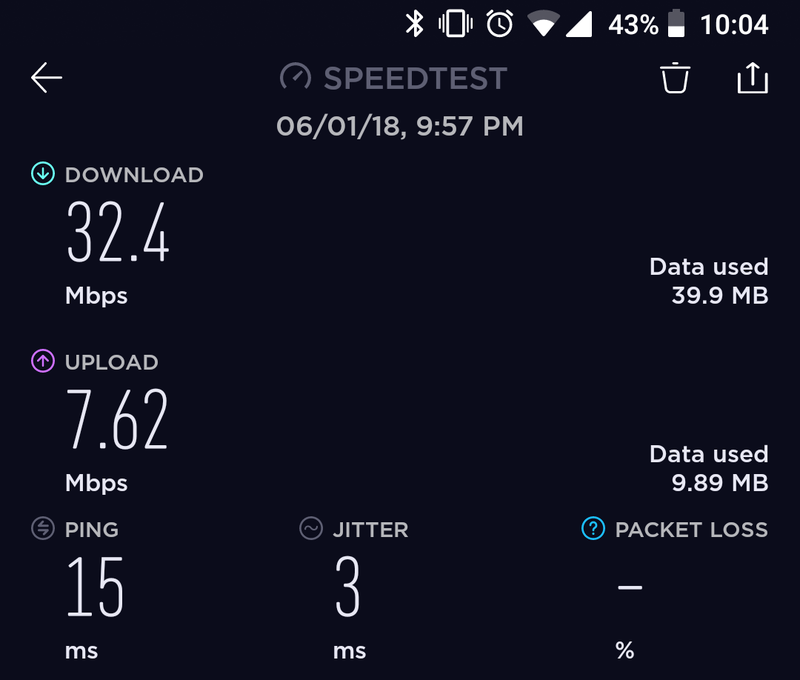 Overall, the dual-band Velop system is a massive improvement over my previous setup. The dead zones are gone, I don't have to deal with the stupid range extender I had before, and every device in my home has a stable connection. The Velop mobile app is excellent as well. This is the first mesh network system I've had the opportunity to try, so I can't directly compare it with competing systems. 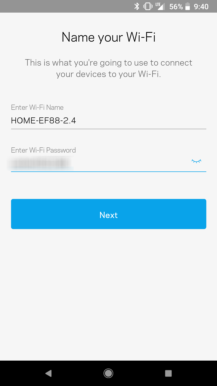 The Google Wifi is also dual-band and is priced the same, but it seems to be plagued by software issues. Netgear's tri-band Orbi system is a popular option, but the two-pack is nearly the price of the three-pack dual-band Velop. If you're looking for a mesh network system, and the potential speed drop isn't a concern for you, I would definitely recommend the dual-band Velop. For the first time in ages, I can't complain about my home's Wi-Fi.